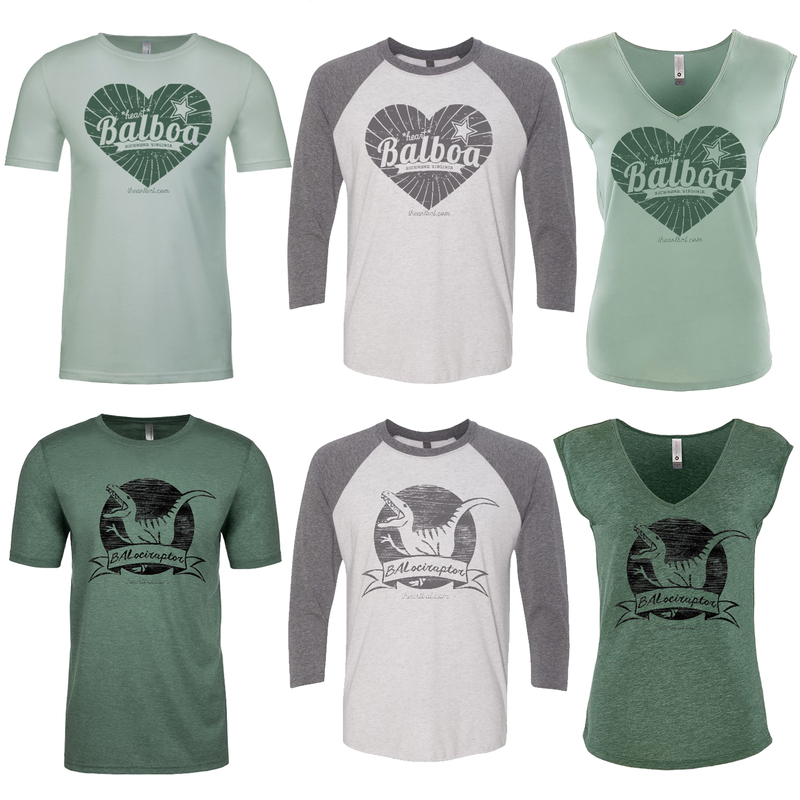 Let your Balboa nerd flag fly with I *Heart* Balboa t-shirts! We have 2 great designs for you this year. Size charts are at the bottom of the page. If you are attending the event, please add a shirt to your registration via our registration form and take advantage of our special advance order prices for attendees. If you are not attending the event, please use our t-shirt order form, which already includes US shipping & handling. 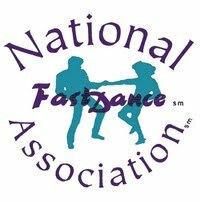 All t-shirt orders must be received by 7pm on August 8th, 2019 so that we can turn in our order to the printer in time for the event. Shirts will ship in mid September 2019. This design is available on your choice of a Next Level brand tri-blend baseball tee or Next Level brand superfine jersey crewneck or cap-sleeve shirts. All shirt styles feature soft, lightweight fabric that is a joy to wear! 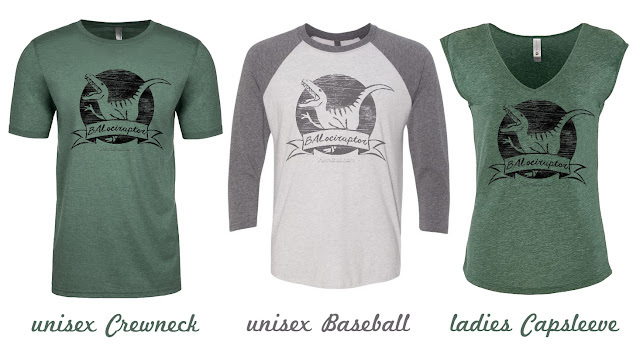 Baseball and crewneck shirts are unisex sizing. The ladies capsleeve features a curvier cut that is relaxed without being too big & drapey. 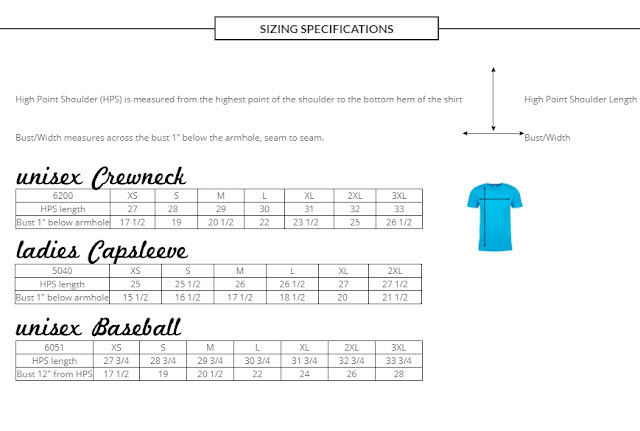 Please consult the size charts at the bottom of this page. 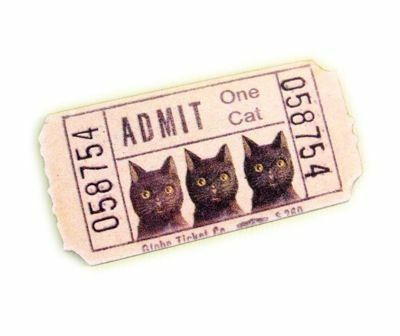 (If you are attending the event, please add your t-shirt via our registration form to avoid shipping charges and to take advantage of attendee-only discounts). Our classic I *Heart* Balboa logo gets a fresh new update. Printed on your choice of a Next Level brand tri-blend baseball tee or Next Level super fine jersey crewnecks and capsleeve styles. All shirt styles feature soft, lightweight fabric that is a joy to wear! 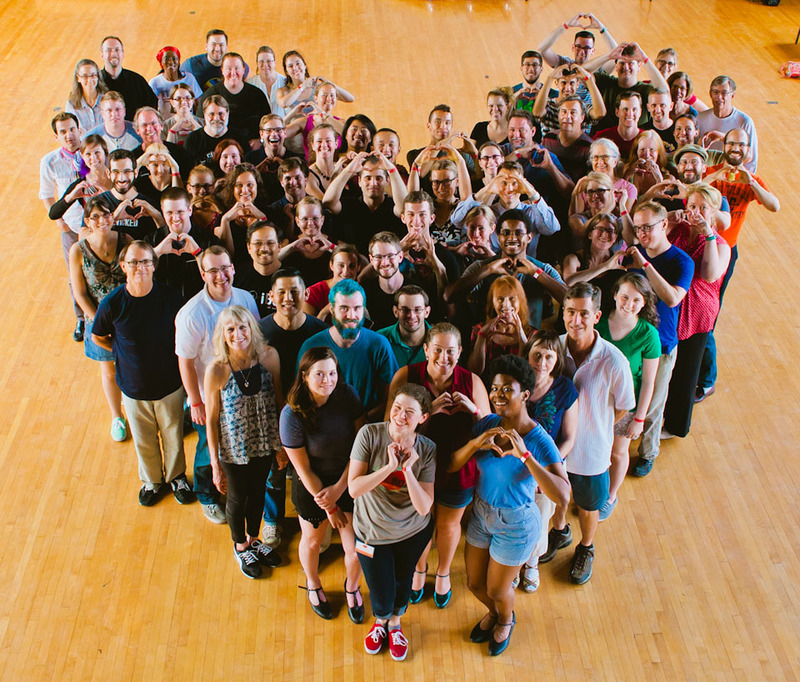 Order your Classic Heart Logo Tee. (If you are attending the event, please add your t-shirt via our registration form to avoid shipping charges and to take advantage of attendee discounts). 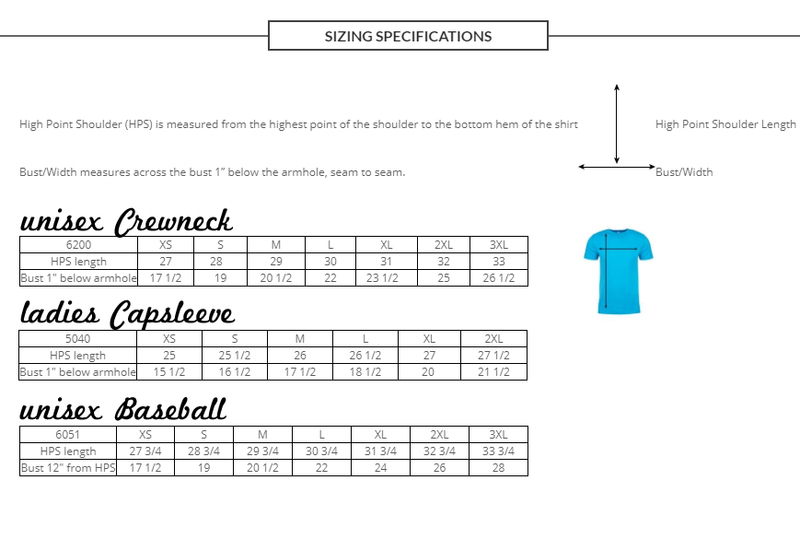 Please note that these are actual garment measurements, with the item laid out flat and measured from seam to seam. So, for example, a flat measurement of 19 inches would fit someone up to a 38 inch chest, though you may wish to leave yourself an inch or two for ease of movement and to account for any shrinkage when washing. For lady humans concerned about the fit on the new capsleeve style: we ordered a sample and found that it fit loosely but not huge/drapey like last year's dolmans. Our test subject was 5' 5" tall, 135lbs with a 34" chest and she found the size S to be a perfect relaxed fit. It is also crazy soft, lightweight, and silky. So, yay!